The decision to move a beloved family member into a long-term care facility is one of the most difficult decisions a person will ever have to make. In fact, many people promise themselves that they would never allow a stranger to be responsible for the well-being of their mother, father, grandmother or grandfather. While this type of promise is very near and dear to one’s heart, it is made based on circumstances that are outside of one’s control. At some point, most of us will be faced with the inevitable, that the care a loved one requires is more than we can provide. This hard realization will require us to break an important promise and seek out a long-term care facility for our loved one. When it comes time to begin the long search for the perfect long-term care facility you will undoubtedly look for somewhere your loved one can feel at home; and somewhere he or she will feel comfortable, safe and most importantly happy. You will aim to find a place where your loved one can build meaningful relationships with other residents and a place where your loved one does not want to stay cooped up in his or her room. You may discover that finding this perfect place is harder than you could have ever imagined. During this process, you may experience emotionally-charged days, followed by long, sleepless nights. After all, it's not an easy task to let go of a loved one. By this point you may be asking yourself, how do families do it? How do they find that perfect long-term care facility? How do they let go of control? While there may not be an easy answer to these questions, there are things you can do as a long-term care provider to help families feel confident in their decision to move their loved one to your facility. It starts by changing the culture at your institution to person-centric practices. More specifically, transforming your dining experience from an institutional dining environment to a home-like, resident-centered dining experience. If you don’t know where to start, you’re in the right place. This article will provide you with ideas to help you make your cultural transition. Let’s get started. Is Your Long-Term Care Facility Serving A New Generation Of Residents? It’s no secret that the majority of long-term care facilities in the United States are serving a new generation of residents with the aging baby boomer generation. According to the Population Reference Bureau, 71.4 million people will be 65 or older by the year 2029. This means that over 20% of the population in the United States will be over 65 by 2029. You may be asking, what impact does this have on long-term care? We're here to tell you; it has significant implications. Baby boomers are well-traveled. In fact, the AARP predicted that 99% of boomers will take at least one leisure trip in 2017, with the average of five or more trips expected throughout the year. The AARP also found that baby boomers are responsible for 80% of all luxury travel spending. While these may seem like pointless statistics, they hold high importance for the long-term care industry. Baby boomers are well-traveled, well-cultured and crave adventure. This means long-term care facilities must step up their game to meet the demands and expectations of aging boomers. Boomers will come to expect a resident-centered experience that will allow for them to maintain control of their lives. This is true especially in social aspects of life such as dining. Failure of your facility to provide them with this will result in depressed, unhappy and unhealthy residents. The good news is, there are things you can do to meet the social and dining demands of this massive demographic including expanding menu options, expanding service options and providing flexible meal times. We’ll cover all of these in detail in subsequent sections. Dysphagia is a condition that affects approximately 67% of residents in long-term care facilities. Simply put, dysphagia is a condition that makes it difficult to swallow. Dysphagia can be caused by many medical conditions such as stroke, cancer, dementia and Parkinson’s Disease. It can even be present in seemingly healthy elderly adults. 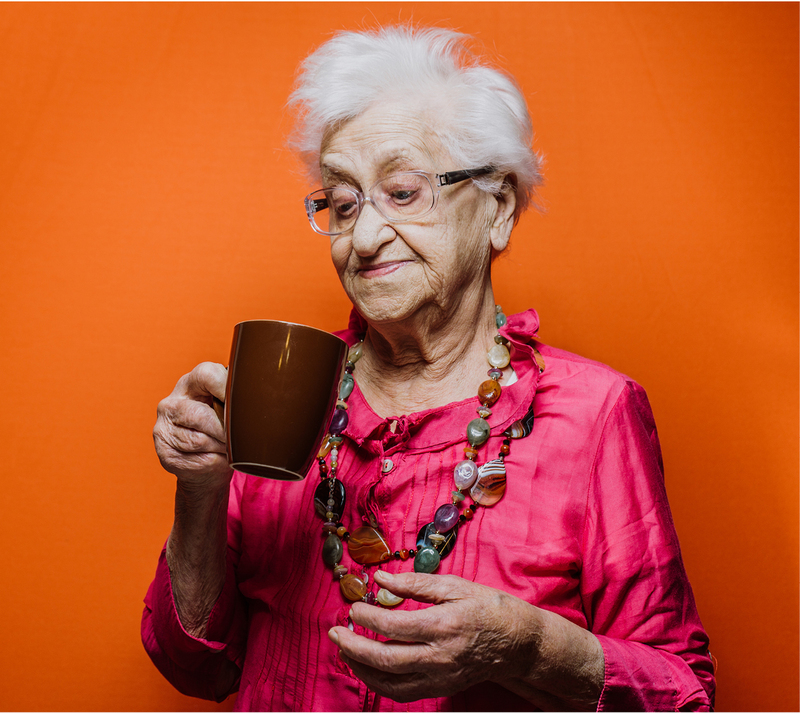 Dysphagia can cause life-threatening consequences in elderly patients, as well as provide a reduced quality of life. In fact, next to falls, choking is said to be the second highest cause of preventable death in long-term care facilities. 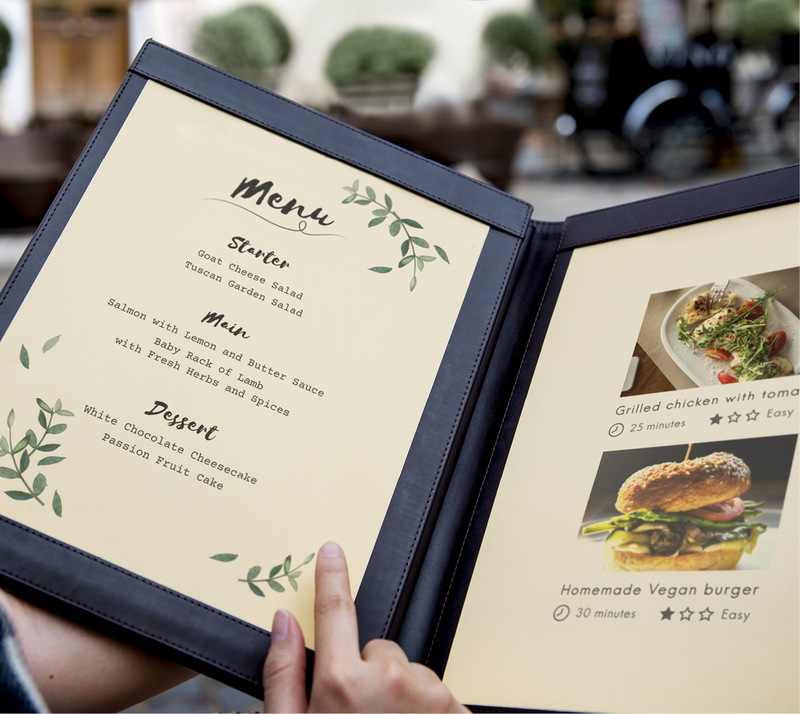 These staggering statistics display the importance of providing your residents with expanded menu options. A texture-modified diet will allow your patients with dysphagia to consume adequate nutrients and fluids needed to maintain their health while reducing the risk of choking and suffocation. You should always have your patient meet with a physician to obtain recommendations for texture modification of his or her diet and thickened fluids. Never make changes to a patient’s diet without consulting with a licensed professional. Here are some tips for providing your residents with thickened food and beverage options. Residents who suffer from dysphagia are at higher risk of malnutrition. Thus, it may be essential to fortify or enhance patients’ food and fluids to maximize nutritional intake. For instance, meals for dysphagia patients should be high in protein and energy-rich nutrients as to provide them with enough nutrition to live each day to its fullest. Person-centered dining helps to promote the well-being of long-term care residents. The sad truth is, most long-term care facilities in the United States rely on medical models of care, which have led to task-focused meals and little opportunity for residents to choose when and what they eat. Such a model can result in adverse health effects, reduced food intake and decreased nutritional intake. Quality of life for residents at your facility must be at the front and center of all your practices. Providing your residents with a high quality of life will require you to expand your serving options. Here are some ways you can accomplish this goal. A major complaint many residents of long-term care facilities have is the inability to eat what they want when they want. Remember, just because a resident comes to your facility it doesn’t mean that they have lost the desire to have control of their own basic needs. A great solution to this common complaint is to invest in an all-day dining model with the help of DineXpress Modular Serving Counters. DineXpress self-service buffets will provide your facility with a contemporary and customizable front of house meal serving solution. 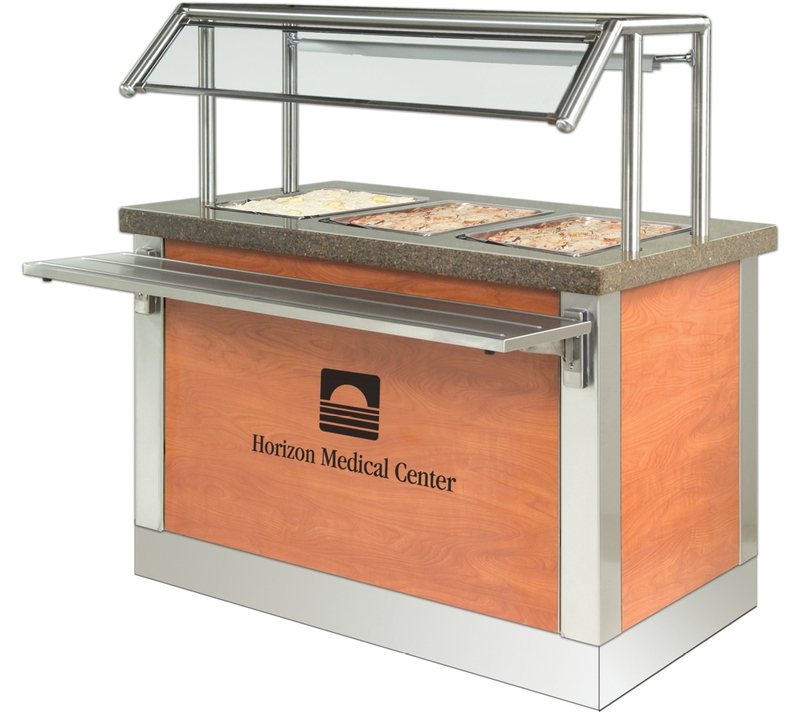 Our line of quality cafeteria self-service buffets come equipped with cold wells, soup wells, self-leveling plate and tray dispensers, heating elements and electrical connections. Investing in a DineXpress modular serving counter or self-service buffet will provide your residents with the sense of dining independence they have been craving. Dinnerware: Carlisle offers an extensive inventory of quality commercial dinnerware that is sure to leave your residents feeling like first class guests. Carlisle dinnerware and drinkware are best in the industry for functionality, beauty and lasting value. 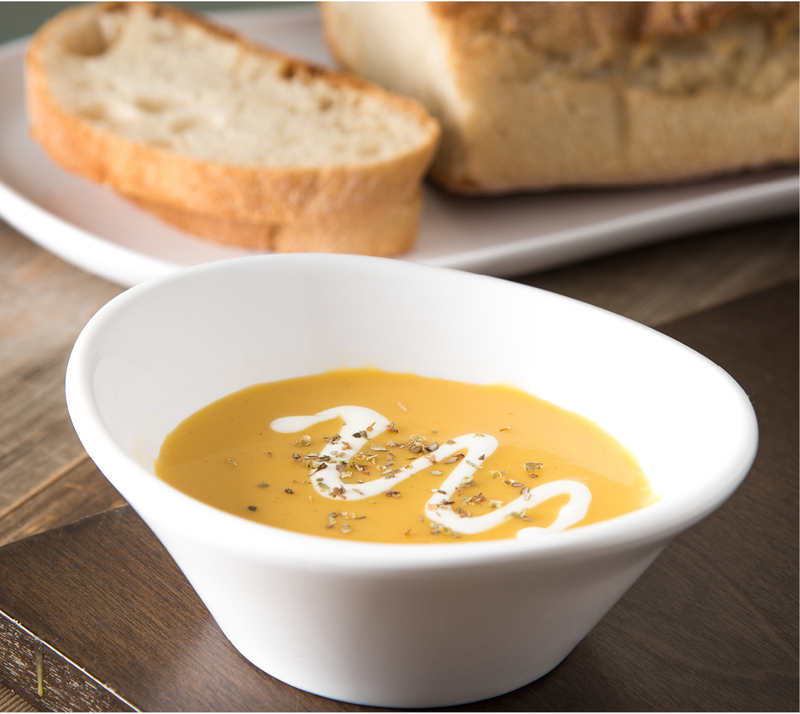 Our line of melamine dinnerware and polycarbonate dinnerware will make dining at your facility much more manageable. Carlisle Drinkware: Carlisle drinkware will add flexibility, durability and beauty to your facility’s dining program. From our beautiful foodservice pitchers and restaurant-style coffee mugs to our top-of-the-line glassware, we’re confident you will find just what you’re looking for to make your dining program complete. Bistro™ SoftWeave™ Napkins: Carlisle’s line of bistro-style napkins will give that much-needed accent to your facility’s table settings. Our SoftWeave Napkins will provide the look and feel of cotton without the fading and shrinking. 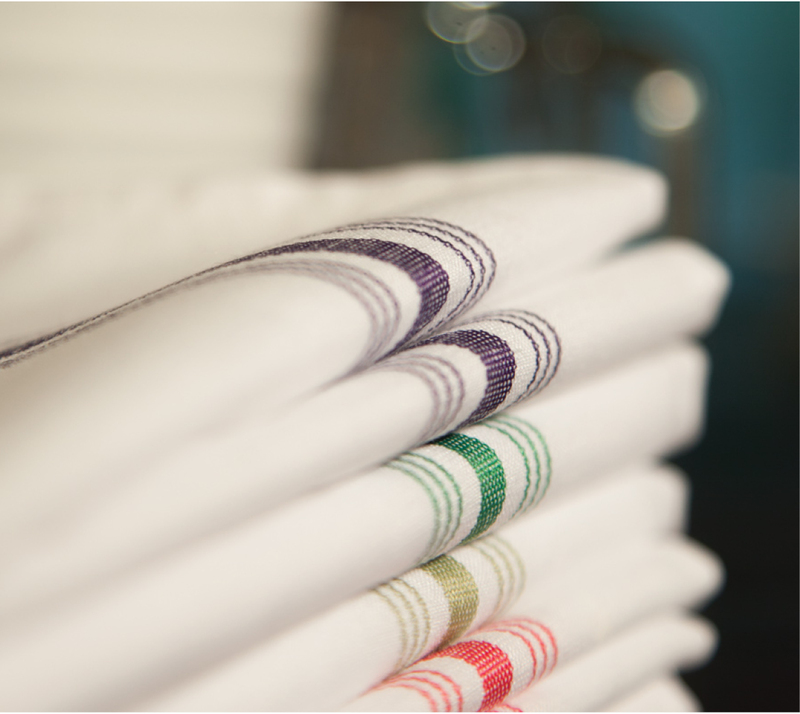 Best of all, our foodservice napkins will not lose, do not bleed and come in 15 colors. Getting your residents involved with serving others during dining hours is an excellent way to get them excited about meal time. Research has shown that increased resident participation in meal time results in higher patient satisfaction. Providing your residents with a task that can help them feel like they are a part of something can go a long way to increase their happiness and health. 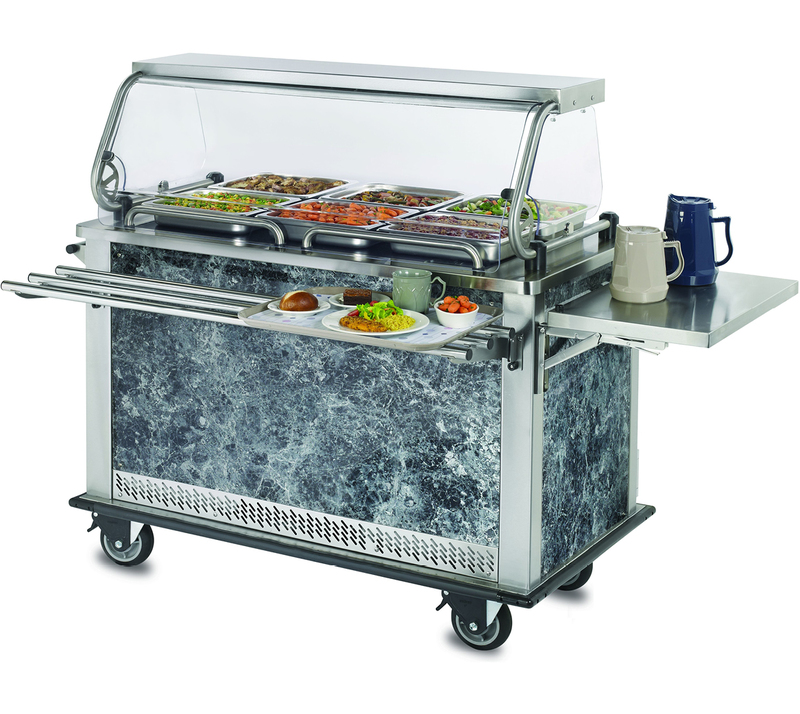 Carlisle’s MealtimeXpress Cart is the ideal solution to getting your residents more involved in your dining program. This state-of-the-art satellite meal cart will allow your residents to serve hot and cold food to other residents via its built-in hot and cold compartments. Best of all, it’s swivel wheels make transportation and maneuvering easy. 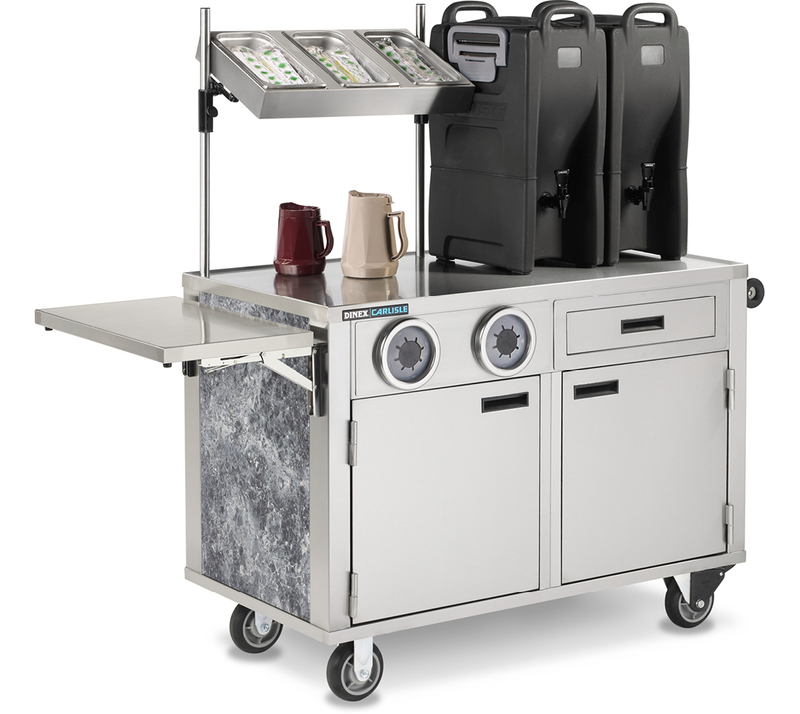 The MealtimeXpress satellite meal cart by Carlisle is the mobile, efficient, safe and customizable solution you have been looking for. According to Managed Health Care Connect, providing residents with flexible meal times results in improved quality of life, improved physical functionality and enhanced body weight, all of which are vital to the success of your facility. Some facilities have even implemented a 24-hour dining program to cater to the needs of diverse residents. Here are some ideas to help you get started with implementing a flexible meal program at your long-term care facility. An excellent way to cater to the needs of residents, especially those who are immobile, is to implement a "meals on wheels" program. 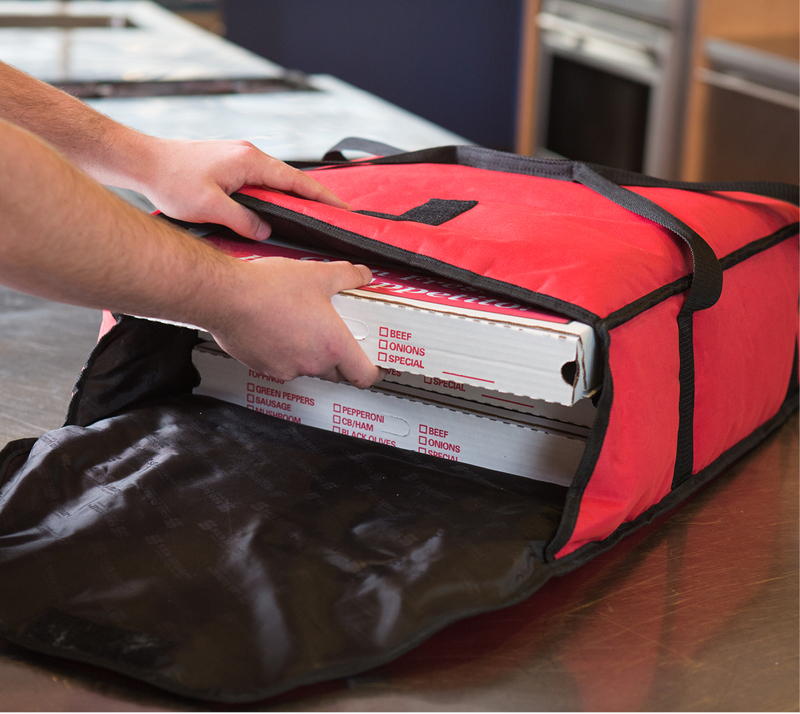 No meals on wheels program would be complete without the help of San Jamar insulated food and pizza carriers. These industry-leading insulated food carriers help you to maintain food quality and temperature during delivery. Best of all, our line of insulated food carriers is customizable. TQ Supreme Meal Delivery Carts: Carlisle TQ Supreme meal delivery carts feature a sound dampening design, so you don’t have to worry about disturbing other residents while out on delivery. 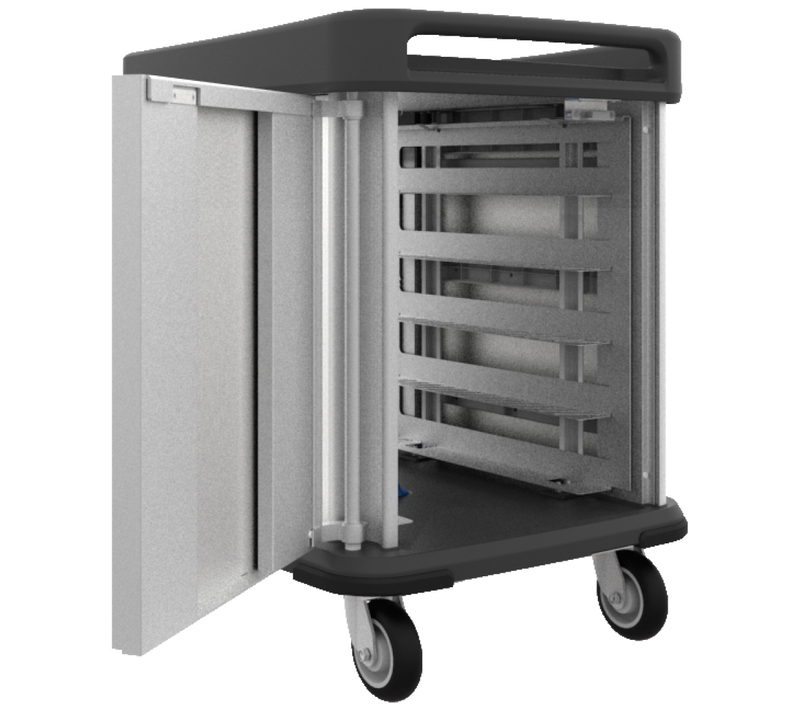 This foodservice meal delivery cart’s light design makes it easy to maneuver down a crowded hallway and its beautiful design will bring a sense of hospitality to your facility. Best of all, the TQ Supreme meal delivery cart is customizable so that you can showcase your brand all the time. Dinex Fenwick Insulated Wares: Our collection of insulated wares will help you to modernize your entire tray top presentation and serve more delicious meals. 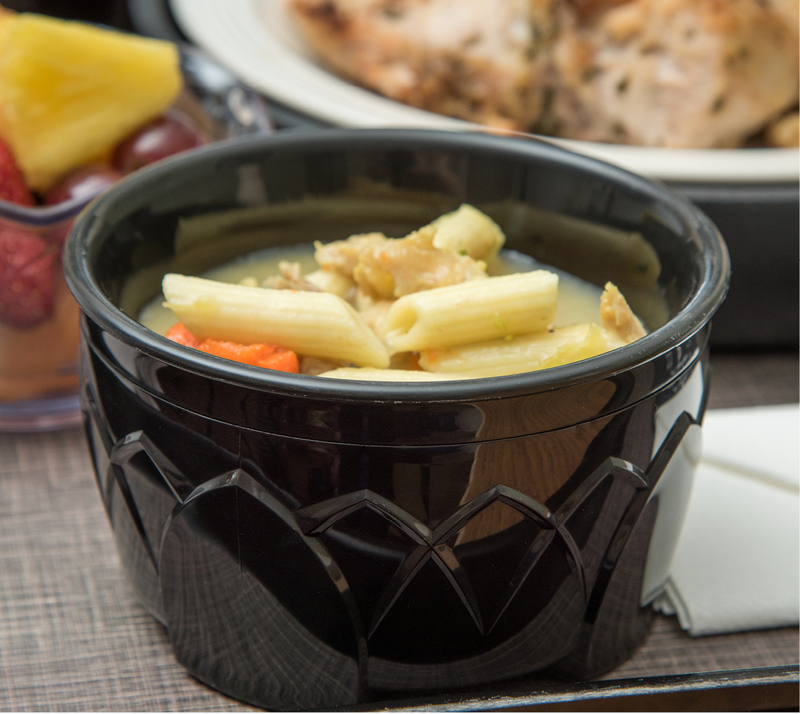 Dinex Fenwick insulated wares can help your facility increase patient satisfaction scores by ensuring all meals are delivered at the proper temperature. 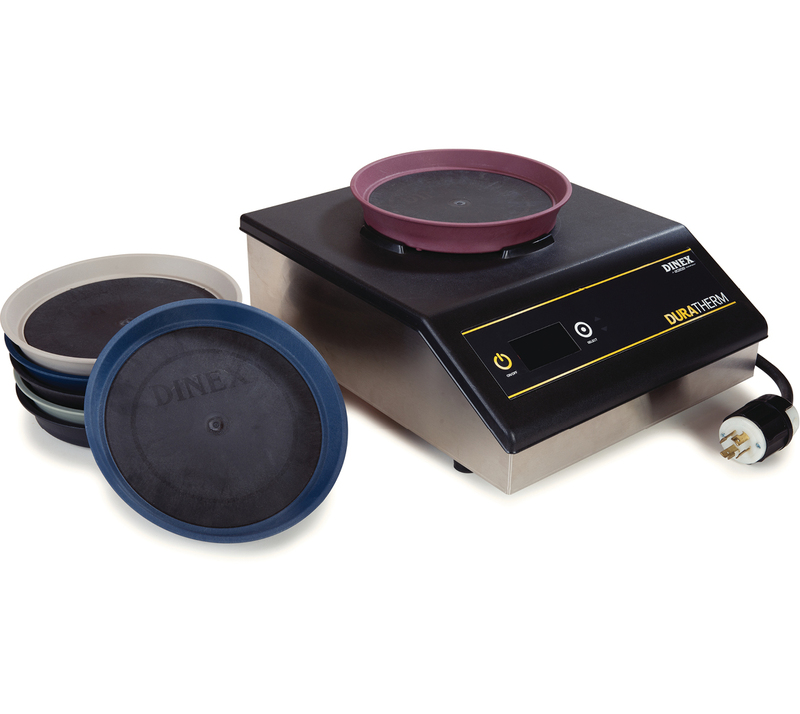 Induction Heating System: No dining program would be complete without the help of induction chargers. 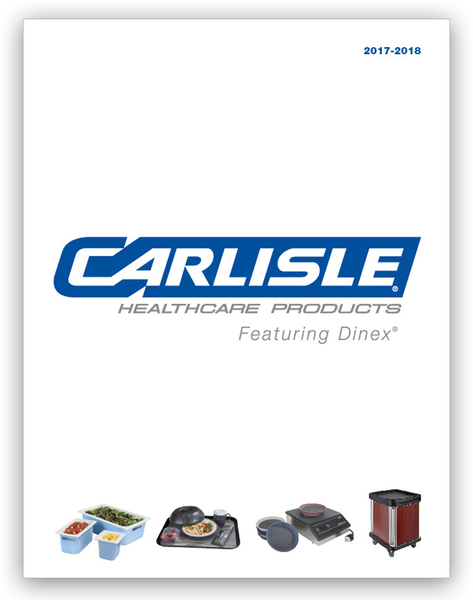 Carlisle offers a variety of heating systems to suit your needs and are ideal for meal delivery. Our induction chargers are flameless and include a built-in chip that relays information to the unit to ensure your food is never too hot or too cold. According to Dementia Care Central, over 3 million people in the United States are living with dementia. Patients with memory loss and dementia require specialized care and supervision, and often these patients need help with activities of daily life such as eating. It’s vital that you invest in the right tools to help you provide a great dining experience to patients with memory loss and dementia. 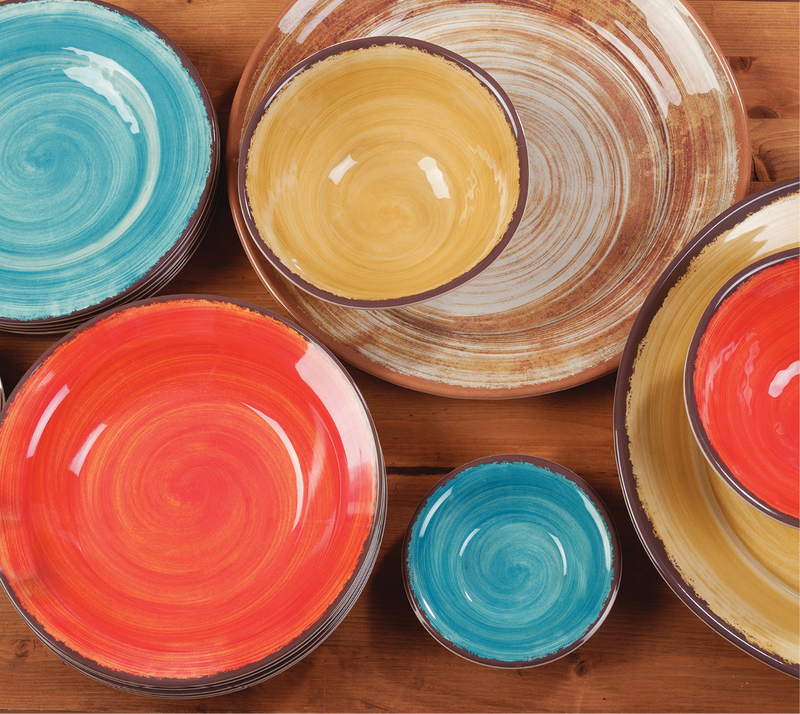 Carlisle offers shaped plates and colored dinnerware that can help make eating easier for patients with memory loss and dementia. Providing your patients with dining equipment created to help them increase their food intake and reduce frustration is key to extending their lives and enhancing their quality of life. Part of making residents feel in control of their lives and eating habits is to provide them with ways they can access food and beverages on their own. Carlisle’s bussing and transport carts can help you deliver snacks and beverages to residents in their rooms and shared areas. Investing in a Dinex Hydration Cart will provide your residents with an opportunity to enjoy food and drinks throughout the day at their leisure. Our hydration cart is the perfect addition to your long-term care facility and will leave your residents feeling delighted and empowered. Lastly, a DineXpress Modular Serving Counter will give your residents the freedom to choose the food they want to eat, all while enjoying a restaurant buffet-like experience. Making your residents feel at home is at the front and center of any long-term care facility CEO's concern. 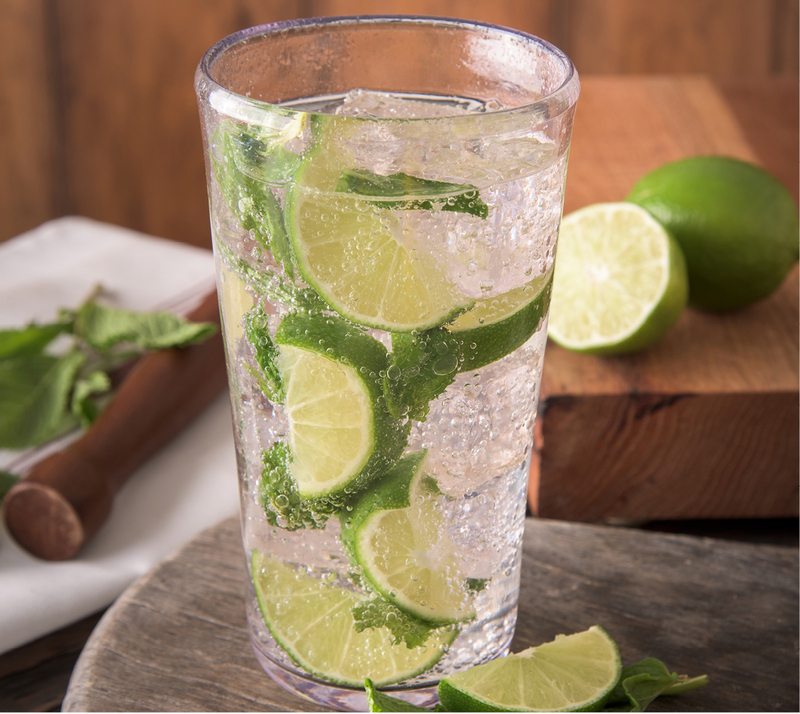 What better way to make your residents feel at home than to provide them with a happy hour each day? The Maximzer™ Portable Bar is the perfect tool to let your residents let loose and enjoy the company of other residents. 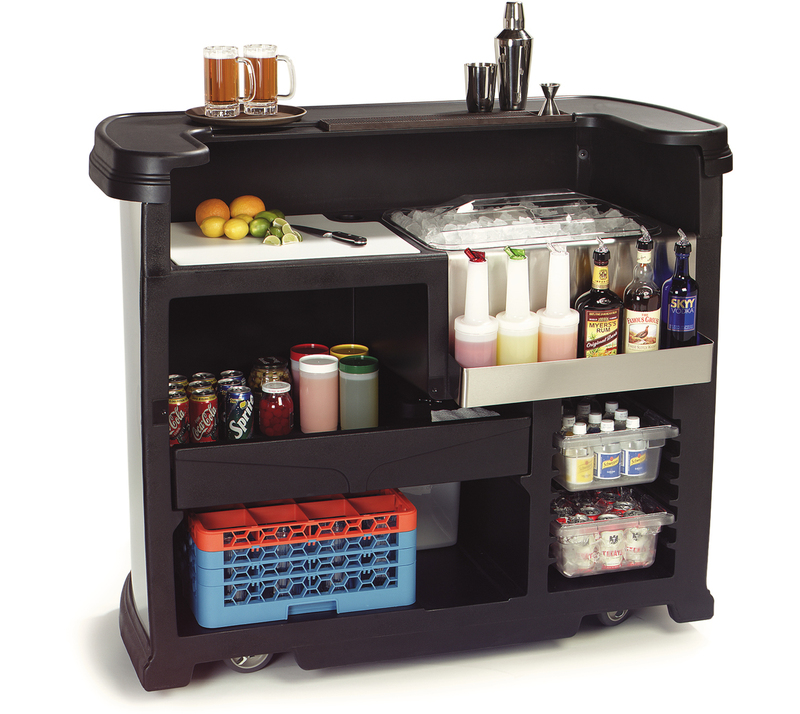 The portable bar’s large serving area will allow you to keep condiment caddies within residents’ reach and its durable, solid-molded countertop makes for easy cleanup. This portable bar also includes a 15-gallon ice bin to keep beverages cold and has an integrated drain and water trap. Invest in yours today. Recreating the at-home dining experience for residents should be at the forefront of your agenda. It’s critical for your patients’ health and well-being to create a welcoming and patient-centered dining experience. Remember, your residents do not stop being human when they come to your facility. They still have all the basic desires that we have as humans. This includes craving a sense of comfort, safety and independence. Your dining plan needs to be set up in a way to provide your residents with these features. Remember, you must impress the families of potential residents. After all, they will decide where to spend their hard-earned money and who to delegate the care of their loved one. To impress potential residents’ families, you need to show that you are human. You need to show that you care about the needs, wants and desires of their loved one. Implementing a robust patient-centered dining experience will put you well on your way to winning over the hearts of family members and increasing overall patient satisfaction and quality of life. Above all, think about what you would demand from a long-term care facility for your loved one. Putting yourself in the shoes of people who are making the hardest decision of their life will help you make your facility the best it can possibly be.